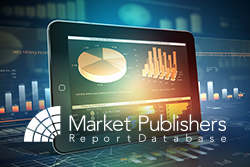 Topical research report “2015-2019 Future Horizons and Growth Strategies in the Global Virology and Bacteriology Testing Market: Supplier Shares and Country Forecasts” created by VPGMarketResearch.com has been recently added at MarketPublishers.com. The microbiology testing segment is one of the fastest growing ones within the in vitro diagnostics industry; it is also the biggest challenge that suppliers are facing during this decade. The ongoing spread of AIDS, which is still the number-one health threat worldwide and the main factor responsible for the upsurge of opportunistic infections; threats of bioterrorism; advancements in molecular diagnostic technologies; and a wider availability of immunosuppressants are some of the major factors driving the sector’s growth. Though for a number of infections the etiology remains a puzzle, for others the causative microorganisms are found in very low numbers long before the onset of first clinical symptoms. The latest advances in genetic engineering and detection technologies offer a wide range of exciting opportunities for specific, extremely sensitive and cost-effective products. The research report is a unique source of valuable information on the dynamic and fast evolving microbiology testing market across the USA, top 5 European nations (Germany, France, Spain, the UK and Italy) and Japan. It presents an insightful analysis of major business opportunities emerging in the infectious disease testing sector in the next 5 year-period. The study gives an overview of the current and emerging assays; analyses prospective applications of novel diagnostic technologies; projects volume and sales for more than 100 virulent disease tests by market segment, assay, and nation; presents accurate test volume estimates based on method; contains profiles of the leading players and prospective market entrants; and also suggests alternative strategies of expanding suppliers’ businesses. More reports by the publisher can be found at VPGMarketResearch.com page.